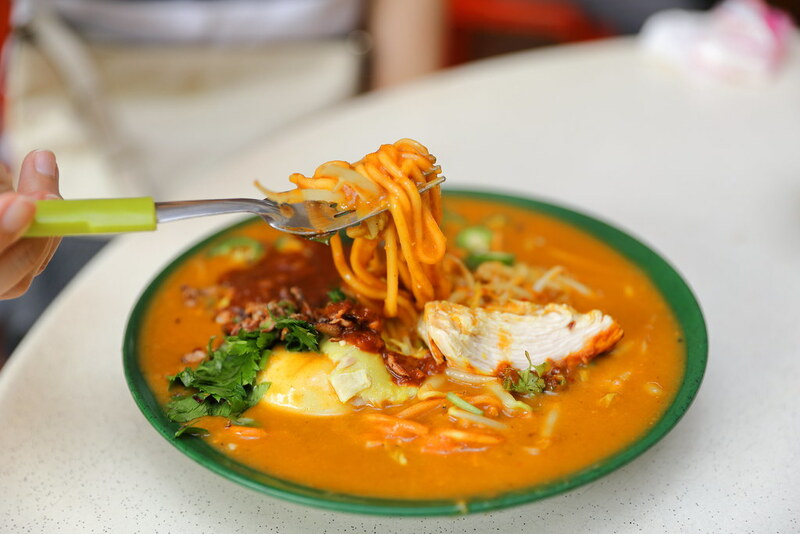 Finally I manage to travel to Ang Mo Kio to try the legendary Power Mee Rebus from Rahim Muslim Food. It is understand that they have been around since 1960s and this is their fifth location. When I reached the stall on a Saturday afternoon, there was already a queue and it took me about half an hour to savour the bowl of noodle. I did not regret queuing up for the bowl of Mee Rebus ($3). It is indeed quite special. 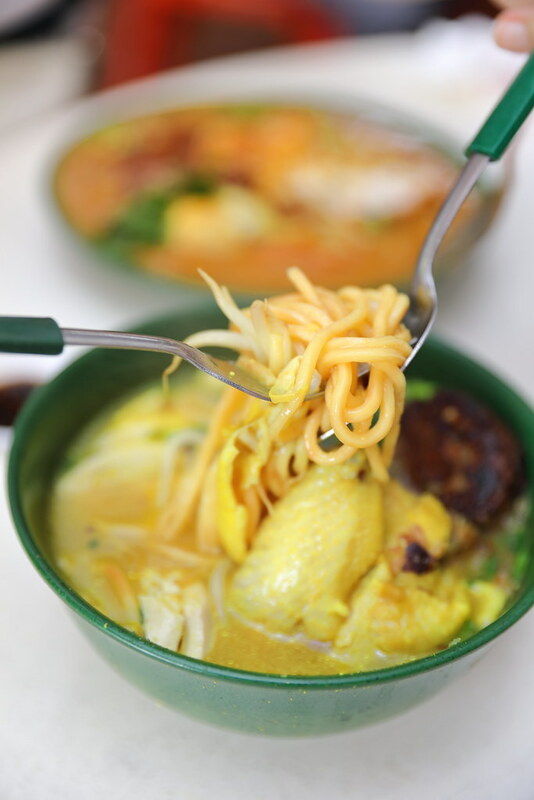 Not only does it come with the regular ingredients such as tau pok, bean sprouts and egg, there is also chunky pieces of poached chicken. Just before serving, satay sauce was ladled on top for a nutty finishing. Give the noodle a good toss in the gooey gravy which is neither too watery or starchy for a slurping shiokness. You probably would like to add more chicken for an additional 80 cents. After waiting in the queue, I could not just order the mee rebus only. 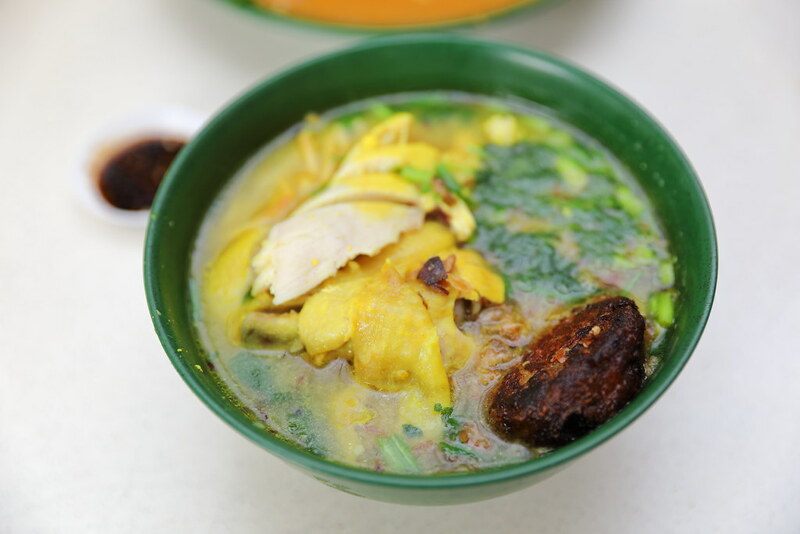 Hence I also got the Mee Soto ($4) which comes with begedil (deep fried potato patty) and chunky pieces of poached chicken. The turmeric based soup was light and sweet. I prefer to add a bit of the special chilli for that elevated oomph. Oh, the begedil is really good too. 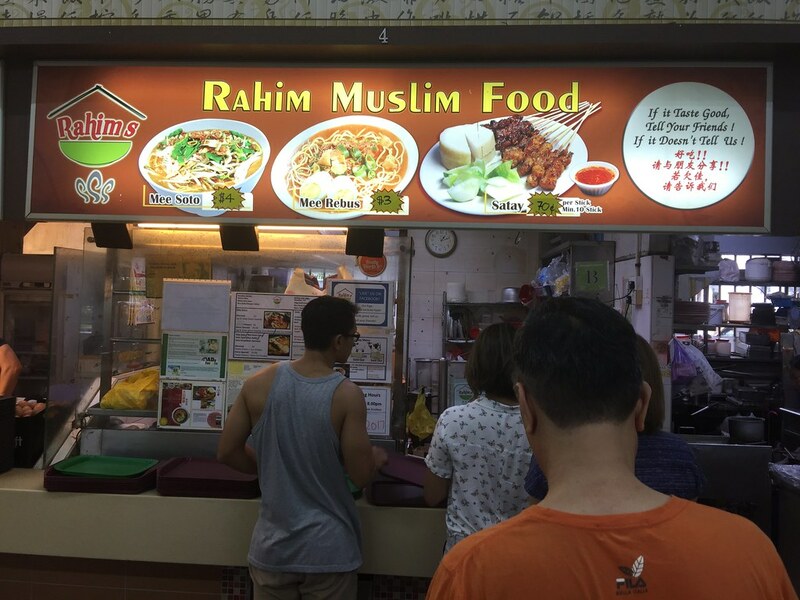 I am glad that I have finally tried the food at Rahim Muslim Food. The price is cheap and the portion is huge. Not only that, they are generous with their ingredients which is unique from other stalls that sells the same item. 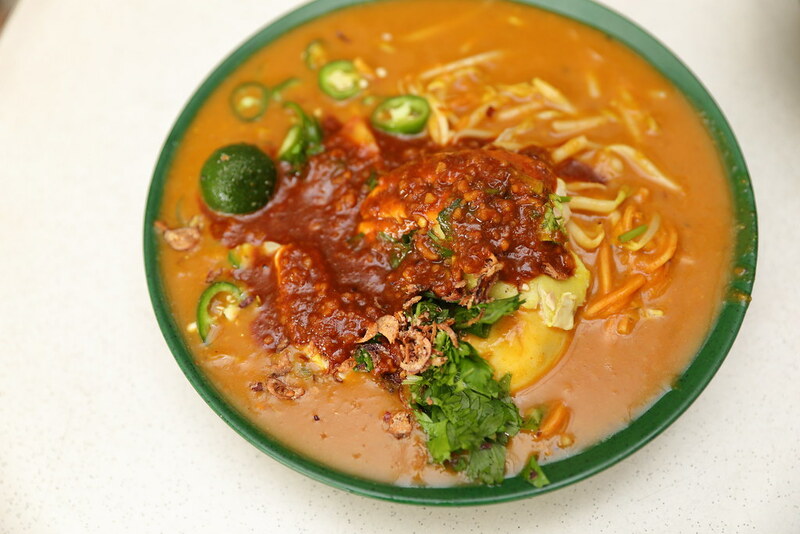 That Mee Rebus really looks very, very power!